"Resolved, -- That this association do meet on Friday next in St George's Fields, at ten o'clock in the morning, to consider the most prudent and respectful manner of attending their petition, which will be presented the same day to the House of Commons. Resolved, -- For the sake of good order and regularity, that this association, in. coming to the ground, do separate themselves into four divisions -- viz. the London division, the Westminster division, the Southwark division, and the Scotch division. "Resolved, -- That the London division do take place of the ground towards Southwark; the Westminster division second; the Southwark division third; and the Scotch division upon the left all wearing blue cockades, to distinguish themselves from the Papists and those who approve of the late Act in favour of Popery. "Resolved, -- That the magistrates of London, Westminster and Southwark are requested to attend, that their presence may overawe and control any riotous or evil-minded persons who may wish to disturb the legal and peaceable deportment of his Majesty's subjects." His lordship having intimated that he would not present the petition unless twenty thousand persons attended the meeting, and the resolutions having been published and placarded through the streets, on the day apppointed a vast concourse of people from all parts of the City and its environs assembled in St George's Fields. The main body took their route over London Bridge, marching in order, six or eight in a rank, through the City towards Westminster, accompanied by flags bearing the words "No Popery." At Charing Cross the mob was increased by additional numbers on foot, on horseback, and in various vehicles, so that, by the time the different parties met together, all the avenues to both Houses of Parliament were entirely filled with the crowd. The rabble now took possession of all the passages leading to the House of Commons, from the outer doors to the very entrance for the Members, which latter they twice attempted to force open; and a like attempt was made at the House of Lords, but without success in either instance. In the meantime Lord George Gordon came into the House of Commons with an unembarrassed countenance, and a blue cockade in his hat, but finding it gave offence he took it out and put it in his pocket -- not, however, before Captain Herbert, of the navy, one of the Members, threatened to pull it out; while Colonel Murray, another Member, declared that, if the mob broke into the House, he (looking at Lord George) should instantly be the victim. The petition having been presented, the populace separated into parties and proceeded to demolish the Catholic chapels in Duke Street, Lincoln's Inn Fields, and Warwick Street, Golden Square; and all the furniture, ornaments and altars of both chapels were committed to the flames. After various other outrages the prison of Newgate was attacked. They demanded from the keeper, Mr Ackerman, the release of their confined associates. He refused to comply; yet, dreading the consequence, he went to the sheriffs to know their pleasure. On his return he found his house in flames, and the jail itself was soon in a similar situation. The doors and entrances were broken open with crowbars and sledge-hammers; and it is scarcely to be credited with what rapidity this strong prison was destroyed. The public office in Bow Street and Sir John Fielding's house, adjoining, were soon destroyed, and all their furniture and effects, books, papers, etc., committed to the flames. Justice Coxe's house in Great Queen Street, Lincoln's Inn Fields, was similarly treated; and the two prisons at Clerkenwell set open and the prisoners liberated. The King's Bench Prison, with some houses adjoining, a tavern and the New Bridewell were also set on fire, and almost entirely consumed. The mob now appeared to consider themselves as superior to all authority; they declared their resolution to burn all the remaining public prisons, and demolish the Bank, the Temple, Gray's Inn, Lincoln's Inn, the Mansion House, the Royal palaces, and the arsenal at Woolwich. The attempt upon the Bank of England was actually made twice in the course of one day; but both attacks were but feebly conducted and the rioters easily repulsed, several of them falling by the fire of the military, and many others being severely wounded. To form an adequate idea of the distress of the inhabitants in every part of the City would be impossible. Six-and-thirty fires were to be seen blazing in the metropolis during the night. A proclamation, and a reward of 500L. was offered for the discovery and conviction of the person or persons who demolished the houses and chapels of the foreign ambassadors; and military law was established. At length the continuous arrival of fresh troops, from all parts of the country within fifty or sixty miles of the metropolis, intimidated the rabble; and soon after the disturbances were quelled. The Royal Exchange, the public buildings, the squares and the principal streets were all occupied by troops. The shops were closed; while immense volumes of dense smoke were still rising from the ruins of consumed edifices. During the riots many persons, terrified by the alarming outrages of the mob, fled from London and took refuge at places at a considerable distance from town. The number of persons killed is variously stated. Many persons, strangers to the attempt, were destroyed by the necessarily indiscriminate fire of the soldiers and militia; and although it is impossible to calculate the precise number who lost their lives, from the circumstance of many being carried off by their friends, it is believed to be about five hundred. Among other death which resulted from these riots, was Mr. Robert Dillon, a pious man, who had officiated at the Roman Catholic chapel, in Moorfields, for thirty-six years. The mob pulled down his house, along with the chapel, burned his books, which he greatly valued, and his household furniture, not even leaving him a bed, whereon he might rest his old bones: this barbarous treatment broke his heart. He was a younger branch of the ancient family of Proudston, in the county of Meath in Ireland; and was universally esteemed by a numerous acquaintance. "The outrages committed by bands of lawless and desperate men, in various parts of this metropolis, broke forth with such violence, into acts of felony and treason, had so far overborne all civil authority, and threatened directly the immediate subversion of all legal power, the destruction of all property, and the confusion of every order of the state, that I found myself obliged, by every tie of duty and affection to my people, to suppress, in every part, those rebellious insurrections, and to provide for the public safety, by the most effectual and immediate application of the force intrusted to me by parliament. "I have directed copies of the proclamations issued upon that occasion, to be laid before you. "Proper orders have been given for bringing the authors and abettors of these insurrections and the perpetrators of such criminal acts, to speedy trial, and to such condign punishment, as the laws of their country prescribe, and the vindication of public justice demand. "Though I trust it is not necessary, yet I think it right, at this time, to renew to you my solemn assurances that I have no other object but to make the laws of the realm, and the principles of our excellent constitution, in Church and State, the rule and measure of my conduct; and that I shall ever consider it as the first duty of my station, and the chief glory of my reign, to maintain and preserve the established religion of my kingdoms; and, as far as in me lies, to secure and to perpetuate the rights and liberties of my people." Lord George Gordon, the leader and instigator of these riots, was subsequently tried in the Court of King's Bench, but escaped conviction. There was little doubt that he was occasionally subject to aberrations of intellect. 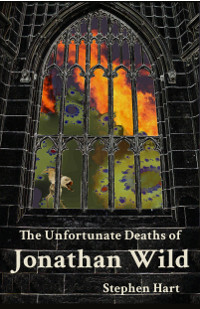 His death took place some years afterwards in the King's Bench Prison. He had been indicted for a libel on Marie Antoinette, the unfortunate French Queen, and the Count d'Adhemar, the French Ambassador, and, having been convicted, fled from punishment, but was afterwards apprehended in Birmingham, attired in the garb of a Jew, with a long beard, etc., where he had undergone circumcision, and had embraced the religion of the unbelievers. He died professing the same faith. Such was the end of a man, once, perhaps, the most popular idol of the mob; and, for some days the terror of all peaceable citizens. Many of the rioters were apprehended, and having been recognised were convicted, and suffered death in most instances opposite to the places in which the scenes were enacted in which they were proved to have taken a part. Among those tried and convicted, were several women and boys; but not one individual of the smallest respectability or good fame; negroes, Jews, gypsies, and vagabonds of every description; the very refuse of society. Richard Roberts and William Lawrence, mere lads in appearance, hardly seventeen years of age, were among the principal leaders in these dreadful scenes of destruction, and were the first who were brought to trial. They were convicted of pulling down the house of Sir John Fielding, and hanged in Bow Street. Thomas Taplin, a captain-rioter, convicted of extorting money from Mr. Mahon. That gentleman deposed that a ragged little boy came first up to him, and said, "God bless your honour, some money for your poor mob!" He bid him begone. "Then," replied the imp of mischief, "I'll call my captain." Then came up the prisoner, Taplin, on horse-back, led by two boys, and attended by forty or fifty followers. Mr. Mahon was intimidated, so as to purchase his security with half-a-crown. Taplin was also hanged in Bow Street, where he had stopped Mr. Mahon. George Kennedy, hanged in Bunhill-row, for pulling down the house of Mr. M'Cartney, a baker. William M'Donald, a cripple, who had lost an arm, and had formerly been a soldier, hanged on Tower-hill for destroying the house of J. Lebarty, a publican, in St. Catharine's lane, near thereto. James Henry, for setting fire to the house of Mr. Langdon, on Holborn-hill. George Bawton, a poor drunken cobbler, who meeting Mr. Richard Stone, in High Street, Holborn, stopped him, saying, "Pray remember the Protestant religion." Mr. Stone offered twopence, but the cobler damned him, and swore he would have sixpence, which was compiled with, for this he was hanged! a punishment which at any other time would have borne no proportion to the crime, and an instance of severity which we trust could not at any other time have occurred in England. William Browne, for extorting money from Mr. Daking, in Bishopsgate Street, as for the Protestant cause, and threaten ing to rip him up, if he did not comply. William Bateman, executed in Coleman Street, for pulling down the house of Mr. Charlton. John Gray, Charles Kent, and Letitia Holland, hanged in Bloomsbury-square, for being a party to setting fire to the mansion of Lord Chief Justice Mansfield. Mary Roberts and Charlotte Gardener, the latter a negress, hanged on Tower-hill for assisting to demolish the house of J. Lebarty, as before-mentioned. Enoch Fleming, executed in Oxford-road, for assisting in pulling down the house of Ferdinand Schomberg. George Staples, for being concerned in the riot in Moorfields, and assisting to pull down the Roman Catholic chapel there, and the house of James Malo. Samuel Solomon, a Jew hanged in Whitechapel, for joining in the demolishing the house of Christopher Conner. James Jackson, at the Old Bailey, convicted of setting fire to Newgate. George Staples and Jonathan Stacy, also hanged in Moorfields, for being concerned in the riot, and burning of houses there. Joseph Lovell and Robert Lovell, father and son, a pair of gypsies, hanged for aiding in setting fire to the house of Thomas Conolly. The following, convicted of setting fire to the King's Bench Prison, and houses near thereto, were executed in St. George's Fields, viz. Robert Loveli, Mary Cook, Edward Dorman, Elizabeth Collins, Henry Penny, and John Bridport. Among the rioters, to sum up the account of their infamy and wretchedness, was Jack Ketch himself. This miscreant, whose real name was Edward Dennis, was convicted of pulling down the house of Mr Boggis, of New Turnstile. The keeper of Tothill Fields Bridewell would not suffer Jack Ketch to go among the other prisoners, lest they should tear him to pieces. In order that he might hang up his brother rioters, he was granted a pardon.